I haven’t written a blog post for ages. Years even. I’ve been flat out with client work and haven’t really given myself a break. I’ve started a few but never got as far as publishing them before they feel out of date. And that’s the problem. When you’re writing about social, news expires within weeks. New updates and algorithms and rules mean that what worked last month, probably doesn’t work anymore. But recently I’ve noticed a trend that I felt compelled to comment on. It started last year with Facebook prioritising ‘meaningful interaction’ on the Newsfeed. This algorithm update really put a spanner in the works for brands and editorial sites who had put all their eggs in Facebook’s basket. Sure, organic reach had been declining forever but this update explicitly meant that to be in with a chance of your content being seen you either had to pay for it with ads and boosts, or you had to create content that actually resonated with your audience and probably try some actual community management, not the post-and-forget-about-it style of social media management that has become so popular. Unfortunately, this update may have kick-started the decline of Western democracy, but hey, the engagement was up by 50% year on year. The same thing is happening with Instagram, organic reach has dropped to less than 10% for most brands, and gaming the algorithm means getting actual engagement on your posts. That’s comments and shares and tags, not the lazy double taps that don’t really mean much of anything. This was the reason more and more small business were turning to Comment Pods, to try and stay relevant. On Twitter things weren’t quite so dire, (in terms of content, obviously Twitter has other issues it’s busy ignoring) as the algorithm was always opt-out-ish. However a series of updates over the last year focused on making conversations easier to read and engage with. Then I saw this article being shared across social as the new big thing. https://www.theguardian.com/media/2019/apr/05/its-genuine-you-know-why-the-online-influencer-industry-is-going-authentic Influencers! With interests! Being authentic! This was the stage where it all started to feel a bit 2009. Remember, way back when social media was in its infancy and the entire point of using any of the platforms was to find and interact with people with similar interests? Community managers were community building for brands who were genuinely interested in connecting with their online audience and finding out what made them tick? Before social media became a flaming cesspool full of clickbait content, trolls, and badly targeted ads? Back then every deck we presented was heavy on authenticity. Faking it won’t work! We declared. Trust is the most important thing! Need more evidence that people are thirsty for long-tail content? Interest-based communities are quietly flourishing while the big 3 try and figure out what to do. Amino, a mobile app built around fandom and communities, had as of last year over 10 million downloads on the Playstore, and user numbers keep growing. It’s still totally possible to connect with your fans online. But to do this we need to stop approaching things with a one-size-fits-all mentality. Take the time, do your research. Learn who your potential audience is, what else they like, what they use which platforms for. Then figure out what you can do to get them interested in you. Stop just pushing out content that nobody needs. Think about the user and make sure there’s a clear objective. It turns out, a decade on this is still the key. Let’s make social media in 2019 good again. If you’ve got a project that you think I could help with please get in touch. Brands and Tumblr and Social TV. Things you should know. This post started out as a bit of a rant about certain brands on Tumblr not using it very well, but on re-reading , I decided it might be more useful to talk about why Tumblr is great, what it’s great for, and why you should be using it. So this is that. Tumblr (when used properly) is a brilliant platform for the right brands to reach the right communities. Tumblr themselves have made it so easy for us as marketing types. They update Fandometrics every single week, so you can always be up-to-date on what’s trending in your field. Imagine Facebook doing something as helpful! According to a 2015 study by Global Web Index, 48% of Tumblr users say they follow their favourite brands on the platform, and when executed properly, it’s a great place for brands to distribute platform appropriate content to their fans. Take a look at the ‘Sponsored Posts’ Year in Review section for superb examples. The Tumblr community understands fandom and nerdiness and ‘the internet’ in a way that other platforms of a similar size seem incapable of doing. Look back at Dennys and the advent of ‘foodom.’ If you’re interested in learning more about the platform and its key demographic, Elspeth Reeve just wrote a brilliant article for the New Republic. Tumblr is – as far as I’m concerned – the undisputed home of social TV, (in the post-show sense, Twitter is still the go-to for real time viewing) Yet few networks/shows take advantage of the massive fandoms that keep the platform ticking over. This is the place that the fans that ‘get’ the shows live. Remember the Hannibal Tumblr? It was so great that people would write articles about how great it was. Tumblr was the place that the Fannibal community was born – it exploded onto Twitter and Instagram and the rest of the internet. Same with Supernatural, Doctor Who (the reboot), Sherlock, Teen Wolf – the list goes on and on. Tumblr is where the things you’ll be reading about in two years time are getting started now. Tumblr represents a massive (and currently woefully under-used) opportunity if you’re a UK publisher/TV production company/games developer/create anything that people get nerdy about. One of the problems I have when trying to convince clients/agencies that we should be looking at Tumblr as a platform is ‘reach’ – the idea that UK Tumblr numbers aren’t worth the investment. Alongside the 48% of users who follow their favourite brand, 70% of Tumblr users have bought a product online in the last month and an even more incredible 64% of users have reviewed a product online in the same time frame*. The Tumblr community might not be as big as some of the other networks, but they’re early adopters who review online as a matter of course. If you’re looking to talk to the ever elusive Snapchat audience, but you’d quite like content you can track, that lasts longer than a day, and you’re also big into metrics, then you should give Tumblr another look. Tumblr recently published their December 2015 numbers, and they’re impressive. I’m not saying that Tumblr is for everybody – it’s definitely not. But if it is for you/your brand/tv show and you get your content and tone right, it’s one of the best (and certainly one of the most creative and fun platforms) that there is. Keep it in mind. 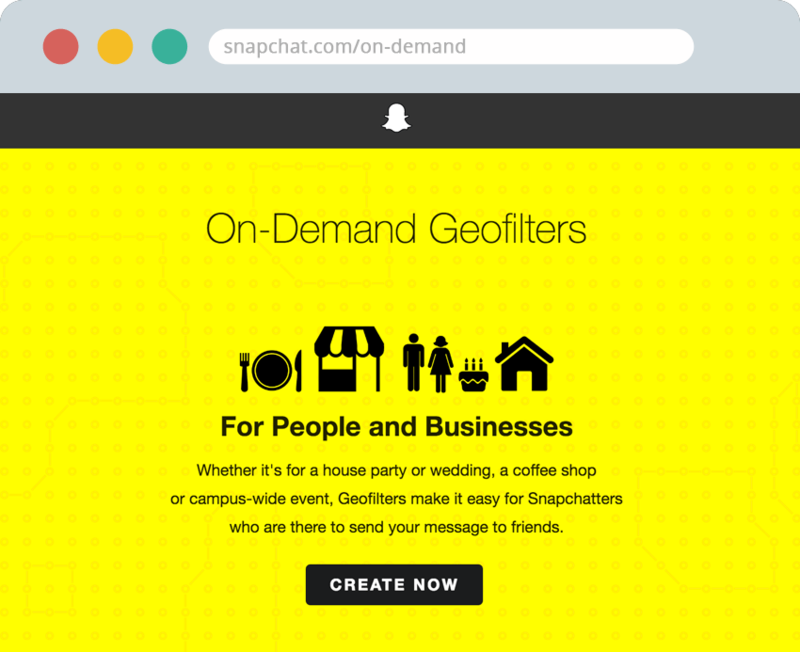 Snapchat On-Demand Geofilters are a Big Opportunity For Smaller Brands. Just the word is enough to strike fear into the heart of anyone over the age of 35. Well. According to the recent Bloomberg profile. On purpose. But if you can see past all the ‘mystery’ and lack of analytics, then you should take a look at what Snapchat can offer. One of the reasons that brands were hesitant about Snapchat were the extortionate advertising costs, coupled with the ‘TV style’ reporting which didn’t give you any real metrics to show to your boss. But things have moved on. Snapchat is still elusive about how much most of their standard advertising costs (although one source cited the prices having dropped to around $400 000 for a custom lens), but earlier this year they made one type of ‘ad’ completely accessible to everyone. I’m talking about On Demand Geofilters. The idea is this. Snapchat already allows Geofilters for locations. You’ve probably seen them from friends who are travelling/humble bragging about where they’re spending their holiday time. Then last year, Snapchat introduced custom Geofilters for brands, you’ve probably seen the McDonald’s filters being shared, and then there was the (not particularly well thought out) time that Hollister targeted 19 0000 US & Canadian high schools with their ‘Friday Vibes’ filter. These filters were only available to select partners and still on the pricey side of ‘give it a go’ advertising. Roll on 2016 and the advent of On-Demand custom geo filters (not to be confused with community filters, which are free to create for a landmark/town/university/place of interest.) On Demand custom geofilters were originally designed as a way for you to be able to easily apply a Geofilter to your Wedding/Bar Mitzvah/Premiere/Whatever. But in terms of marketing, they’re a brilliant way to create hyper-shareable content, perfect for sharing outside of Snapchat as well as in platform. Currently, brand presence on Snapchat is on the low side, and there are a number of reasons for this, the biggest of them being Snapchat is perceived as a hard to understand channel just to reach teenagers. I won’t dispute that Snapchat is still heavy on generation y & z users, but the fastest growing user group is the over 35s. Platform engagement rates (8 billion video views each day) are impressive, as is the sense of creativity lacking from the rest of the ‘big’ social media platforms. If you’re a business that hosts events/does anything location specific and you’re looking for a fun way to raise awareness among potential customers. (And you’ve got a bit of design know-how and a few bucks to spare). I would recommend testing out the Snapchat waters. It’s not yet saturated with brands, there’s very little marketing douchery, and if you’re right for the channel and you understand your audience enough to create content that will resonate with them, then Snapchat custom geofilters might be exactly what you’re looking for. And also, with such a low price point – you can afford to test this one out. Oh, and if you find the whole idea of Snapchat terrifying, Buffer Blog have written an excellent guide to how it all works. Social Media and Social TV are not the Same Thing! Okay, maybe that title was a little misleading, in that social media is definitely an intrinsic part of social tv as it provides the tools that make it possible. What I’m really trying to do in this post is point out that the two things, although sounding the same, require very different approaches. Which is why I’ve come up with 4 principles for you to consider, when approaching a social TV project. 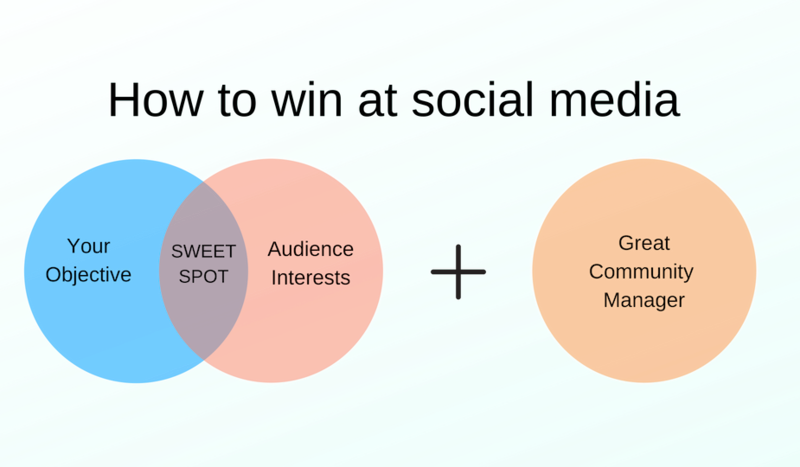 Social media for both brands and broadcasters, is an often awkward, slightly perplexing idea. People are already fans of TV shows! They’re interested in the stories you have to tell, they’re interested in the secrets you can share, they’re interested in the exclusives you can dangle in front of them as your will decides. With brands, people are largely interested in getting stuff for free and customer service, unless you’re lucky enough/smart enough to have built a really strong content offering, solidly over time then getting them to stay interested in your content in 2015, is pretty hard work. So, it makes sense that you would go about developing your social media strategy for a broadcaster, quite differently than you would for a brand. When it comes social TV, it really is all about the fandom. The key to creating a good social TV strategy is understanding the fandom. Only then can you create the kind of content that fans will go crazy for. This sounds obvious, but time and experience have taught me that it’s really not. Just to be clear, I’m not saying you need to love the shows, but you need to understand the fandom. In every social TV project that I’ve worked on, I’ve started with the fandom and worked my way outwards to the mainstream. Starting with the mainstream is never going to work, because those guys aren’t going to be bothered about your show unless it’s popular right now. Fandom is what makes the show popular, it’s what buys the shirts and the boxsets and creates the art and goes to Comicon and gets the people on Facebook interested in watching in the first place. Different types of people naturally gravitate towards certain platforms. Always, always look at your analytics and then use them to hone your hunches. Different platforms require different content types and different timings. Are you looking to build buzz, drive to TX or drive to catch up? Each of these things will benefit from understanding the whens are wheres and whos. Also, people are beginning to make noise about Snapchat being the future of social TV, so you might want to keep an eye on that. Oh, and always check fandometrics. Everyone loves a reaction gif. If you want to know more about any of this/are looking for some help with social TV, then please drop me a line. *Yes, I know there are exceptions to this rule, but they are just that, exceptions.